Well.... We were talking about mascots (sorta) on the toolbox thread... I just thought I'd check in with mine and see if anybody else has a favorite riding 'buddy'. 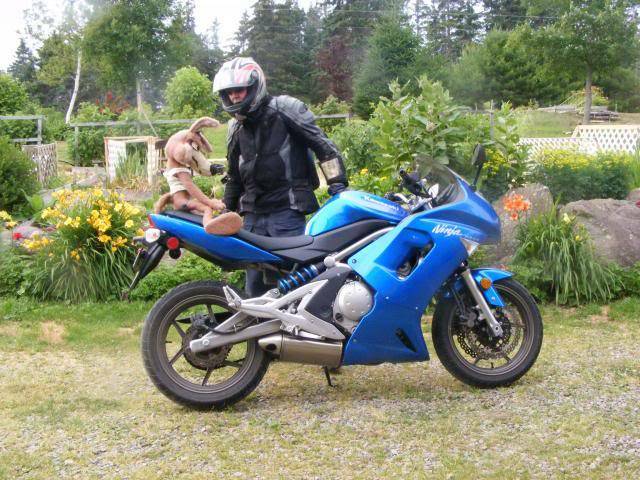 The 'Sportrider' web forum has an itinerant mascot that is shared by web forum members and has toured pretty well all of North America by now. He is a 5" high chilly shaped muppet thing, appropriately called 'Chilly". This is Wiley Coyote. I've had him for some 42 years now. Can't believe it! He used to ride all over Montreal on the back of a cafe-styled Honda 450. Great for starting conversations with the babes! I tried to take him out on the new bike, but he refused to gear up, so the ride was short. He's old school, eh? Won't even wear shades!